I've known Marvin for quite a while, and he has recently enjoyed Internet and Print fame as the face for the Maryland Ensemble Theater's sold out performance of "There's No Place Like Home.....Life Without the Ruby Slippers" (four additional shows were added which sold out too). He can be an imposing presence, but for the fact that he is invariably smiling. 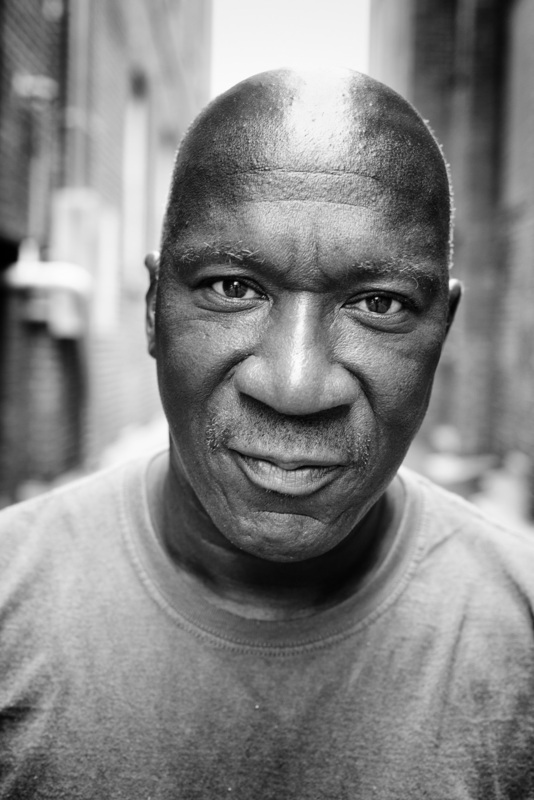 A past with drugs in Baltimore, "I was a pretty bad boy" as he puts it, he landed in Frederick at the Rescue Mission, graduating their program and now living in transitional housing, working and taking life one day at a time as he slowly builds a new life, one very far from his past. After work he will often be seen pushing bicycles that he has found discarded and then repaired to bike stores around town in a show of small entrepreneurship. Spend any time talking with Marvin and what will strike you is a gentle soul, with a heart full of peace, the smile a sign of deep gratitude for where his life is today.